To mark the impending wedding of the bride to be, celebrate in style by hiring our luxury top of the line limos. Start drinking cocktails or champagne as we transport you to your venues of choice. 1. Our limos are ideal for celebrations. Party in style from the word go. Pour out the champagne and listen to some music on the stereo system in the comfort of our stylish and well appointed limousines. 2. Get the maximum from your night. While we get you from one venue to the next, carry on with the party. No need to worry about drinking and driving. Our experienced drivers will get you and the groom safely to the party and home again. 3. Professionally trained chauffeurs. All our chauffeurs have been professionally trained and are both discrete and polite. Whenever and wherever you need to be, our chauffeurs will pick you up and set you down at the appointed times. By using our limos and drivers you take the worry out of who is going to drive, which allows you ALL to enjoy the party with a drink or two. 4. It is all about you. Our limousine service is all about making your night a special night. We will accommodate your needs and ensure that your planned schedule is met. 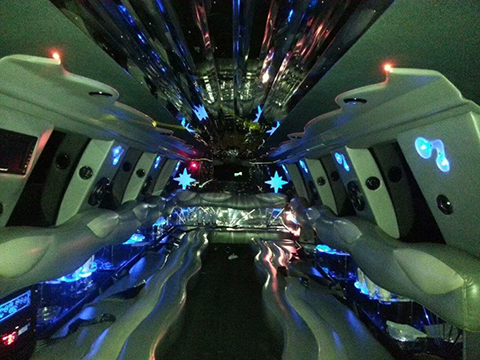 Our aim at BethRock Limo is to succeed in making sure that your night is fun from the start to end. Let us worry about the driving and parking while you take care of making her bachelorette party one to remember. 3. Otherwise, just give us a call at 301-825-8833 to make the arrangements for your bachelorette party limo.